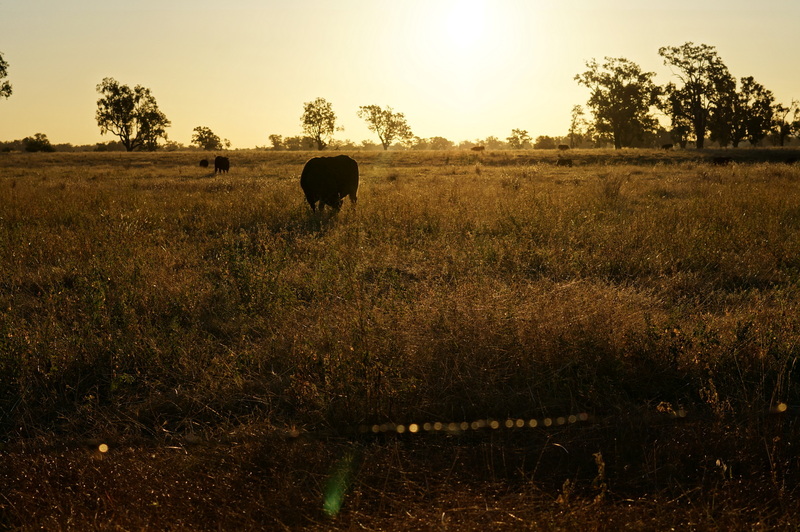 Paddocks near Narrabri, NSW. Image: Cameron Muir. ON Thursday 18 June, members of the Centre for Environmental History gathered for a special lunch to share stories from recent field trips and discuss why field work is important to our research as environmental historians. Rebecca Jones spoke about her research on drought and resilience in the marginal cropping country of Victoria. Her series of photographs taking us along a homestead driveway gave us a great perspective on scale. Cameron Muir spoke about his trip to the Pilliga Forest and the extraordinary alliance of landholders, Aboriginal people and environmental activists and the conflict between energy (mining) and food. Saskia Beudel took us for a walk through Redfern, Sydney, while Alex Roginski helicoptered onto a remote Aboriginal wayfaring site on a clifftop in the Wollemi Forest (and lost her way after wandering off for a toilet break). Tom Griffiths went in search of Eleanor Dark’s family cave (and found it), Joy McCann reflected on the technological mediations through which we ‘know’ the place of her research, the deep southern oceans, and Robyn Curtis rambled through London cemeteries that have been re-purposed as urban parks. Towards the end of the afternoon we were treated to a lyrical ode to field trips and fungi, from Alison Pouliot in Switzerland (channelled through Tom). We are featuring field work stories on the Centre’s site, in a series called ‘Stories from the Field’.